Haven't posted in quite a while. Hope everyone on the SH Forum is doing well. This is what's new with me. 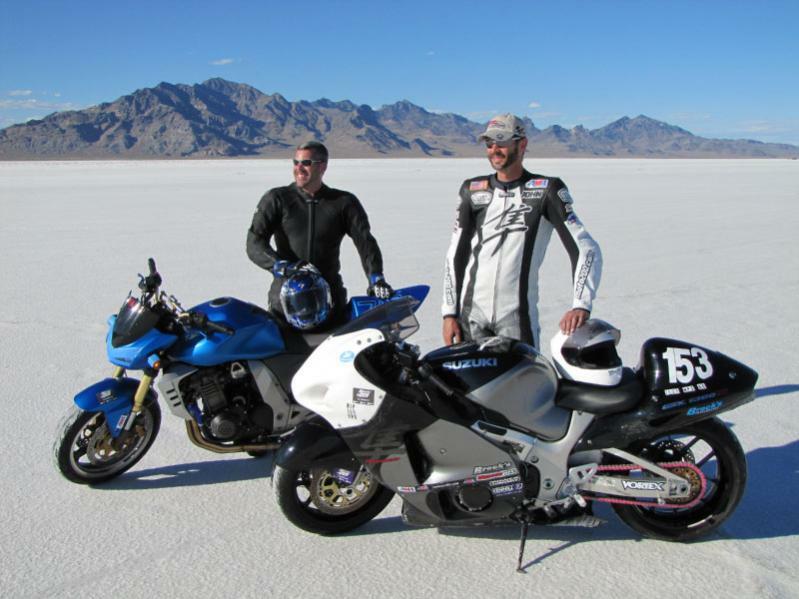 Back in August I set an AMA National Land Speed Record at Bonneville on my 2001 Hayabusa. 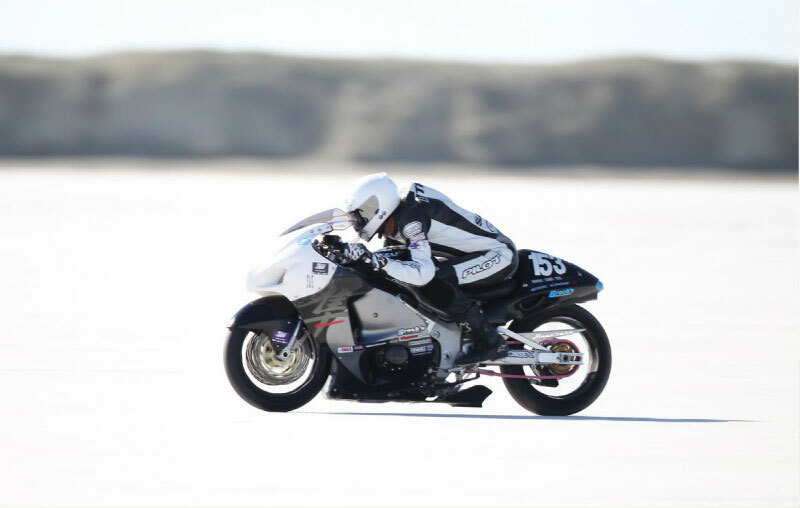 184 mph in the 1650cc-APS-AF class. While slower than last year and my personal best of 203 mph, it was still a great week of racing which found me on stage at the Red Rock Resort Nov. 20th accepting a trophy along side some great champions. 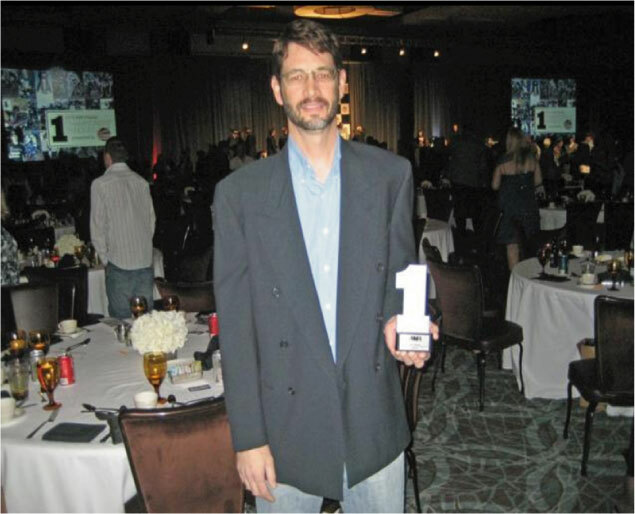 The highlight of the awards banquet was chatting with the fastest man on two wheels, Rocky Robinson, who piloted the Ack Attack streamliner to a sick 376 mph record, nailing both FIM and AMA for top speed on a motorcycle, period. The sicker part: 376 was the average over 1 mile and two passes. On his down run he exited the trap at 394 mph, still accelerating in 4th gear! So this thing still has more. The Ack Attack streamliner owned by Mike Akatiff is a twin Hayabusa engined missile and since it only has two wheels, it's a bike. What an honor to race on the same track as Rocky and others like Leslie Porterfield, Mike Garcia, Don Mills and Gregg Watters to name a few. These are all great folks and just hanging with them at Mile 0 is worth the entry fee for all the knowledge they share. Everyone is pulling for each other to go as fast as possible. My week featured a meltdown and quiting of my so called mentor and racing partner(no longer). Struggled all week with traction, but made sick power thanks to my 1397 big bore kit and tuning by Steve at Las Vegas DynoTech. Impossible to tell for sure on the Dyno but should be making close to 200 hp at speeds above 180 due to forced air induction. Everyone's speed was down from 2009 due to poor salt conditions. My best run was 189. On the record setting down and return runs I was stupidly running restricted at the factory limit of 186: forgot to reset my TRE in the pit after having the battery out to change the rear shock. Did not remember till we pulled into the driveway in Henderson. CRAP! Was in a class with no record so whatever I did was the new record. As always, lots of lessons learned to be applied next year. Finally a few links, pics and a shout out to my sponsors and others who helped me go fast: Jersey(Scott) and Jersey Designs in Henderson, crew chief and webmaster Joe Jobson, Ditmore Family Vineyards for the cold, hard CASH, Kane Freisen for the Dunlops and the sweet pink chain, Chris at Foward Gear for the Venhill brake lines, photographer Scooter Grubb, Brock's Performance and Carrozzeria wheels. 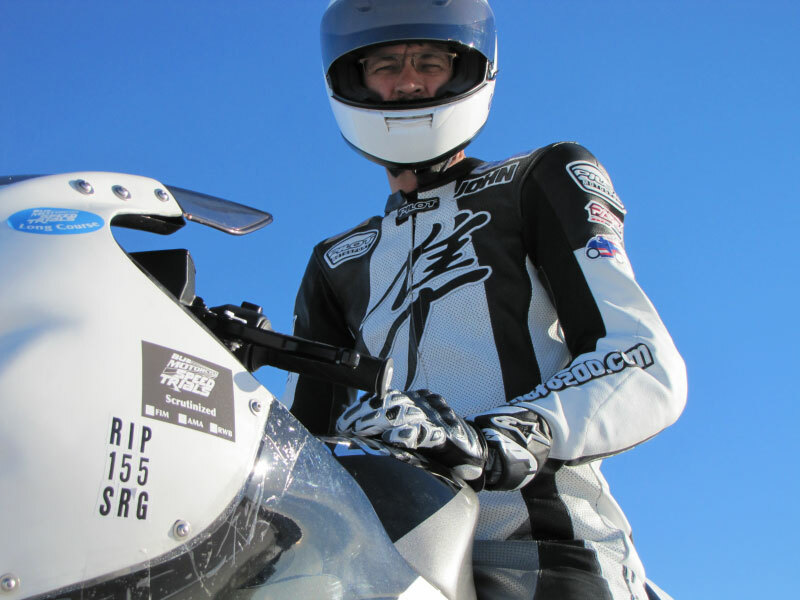 Also want to mention I dedicated this years racing effort to the memory of Steve Golladay, MSF Instructor, Army Captain, Ducati Dog and WERA Racer #155, who was killed by an inattentive motorist at Mt Charleston this summer. RIP Steve.